The LSAMP STEM Bridge Program is an integral component of LSAMP programming nationwide because it uses the strategies of academic integration, social integration, and disciplinary socialization and has proven to be successful in student retention. Through the support and collaboration of academic and support units, this important and effective program serves our underrepresented minority students and assures their success in STEM. The LSAMP STEM Bridge Program strives to introduce incoming underrepresented minority students to the world of opportunities in the STEM community by providing students with experiences in which they will gain skills to work with faculty in laboratory settings; become familiar with academic and professional resources; and discover their identities through engagement with the university, which will provide a strong foundation upon which program participants will succeed in earning degrees in STEM disciplines. The backbone of the academic program is the course, “Problem Solving in STEM,” instructed by faculty from mathematics. It is a mathematics for STEM applications course. It will help students succeed in their STEM disciplines and encourage them to learn math by providing a better understanding of why they learn the various skill sets in math. In addition to interactions with the instructor, the course uses the ALEKS online program, a web-based, artificially intelligent assessment and learning system that uses adaptive questioning to quickly and accurately determine exactly what a student knows and does not know. The program then instructs the student on the topics he/she is most ready to learn. Students placed into college algebra, pre-calculus, or calculus will benefit from this inquiry-based mathematics instruction. Students will also participate in the course, “Integrated Sciences.” The purpose of this course is to provide research-enhanced laboratory experiences that cut across multiple courses, including biology, chemistry, mathematics, and physics. 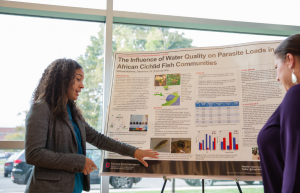 Students will gain a greater understanding of how the different disciplines relate to each other and how interdisciplinary approaches strengthen the scientific discovery process. This will start with a case study that will help students come to the realization that solving real-life problems usually requires understanding and knowledge in several STEM disciplines. 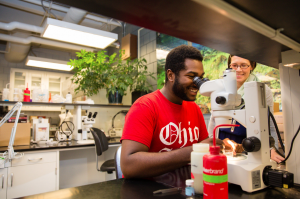 In addition to becoming familiar with the biology and chemistry laboratories, students will get to experience working at the Wetlands Research Park, a large-scale aquatic research facility on the OSU campus. In addition, the course will be augmented with topics in mathematics, chemistry, physics, biology, engineering, and problem solving. The course is broken into four key elements: cognition, motivation, behavior, and context. This course has components in written communication (lab memo, lab report, project notebook), oral communication (oral presentations, multimedia, posters, slides, videos), and effective communication strategies (organization, grammar, punctuation, and writing styles). Resources of the OSU libraries are reviewed, and students are taught how to write lab reports. This course is coordinated with the other bridge courses, and written homework assignments from these other courses are evaluated. During the lunch hour, students have presentations and workshops that include information on Counseling and Consultations Services, Getting Involved at the Ohio Union Student Organizations, Career Counseling and Support Services, Student Wellness Center, and Undergraduate Research Office. 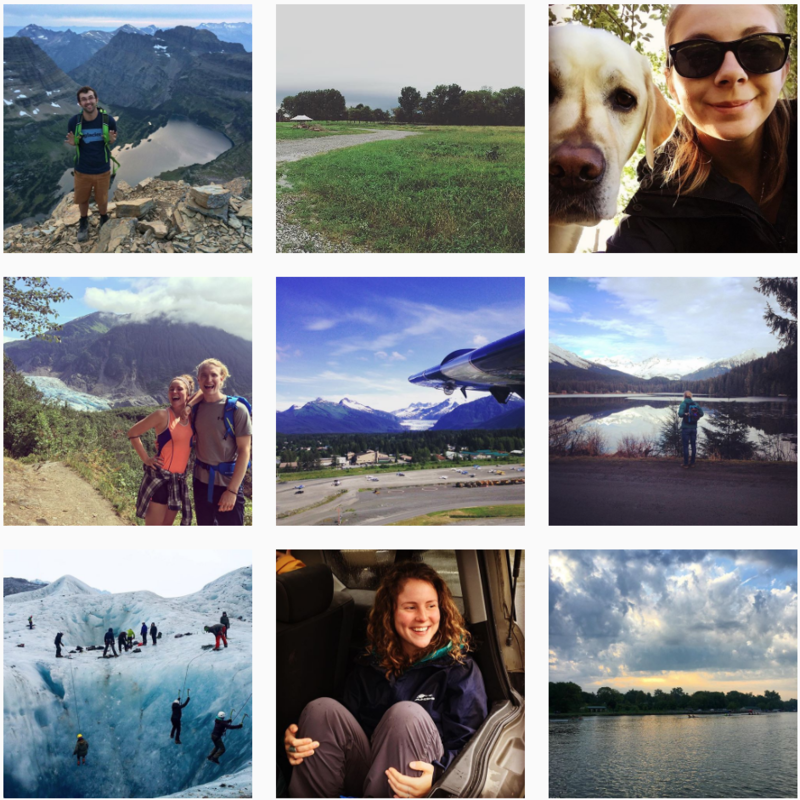 Scholar Mentor-Led Activities include scavenger hunt, study tables, tours of research laboratories, dinners and other meals, rock climbing and other recreational activities, and social activities. LSAMP Scholars are also taken on tours of academic resource centers, including the Math/Stats lab, University Libraries, Museum of Biological Diversity, and the Younkin Success Center. 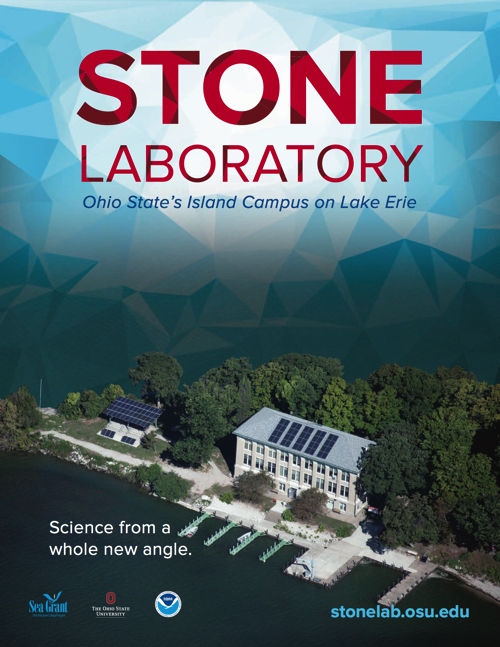 LSAMP Scholars will have their first experience with undergraduate research through the Stone Laboratory Research Experience. 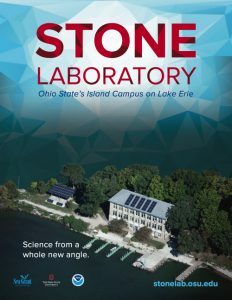 Established in 1895, Stone Laboratory is the oldest freshwater biological field station in the United States and the center of The Ohio State University’s teaching and research on Lake Erie. The lab serves as a base for more than 65 researchers from 12 agencies and academic institutions, all working year-round to solve the most pressing problems facing the Great Lakes. Students will be separated into two groups. Each group will spend two hours on the research vessel collecting environmental and biological data. Students then spend two hours in the laboratory recording and analyzing the data. They dissect fish and learn fish identification techniques, using a dichotomous key to determine the identity of selected families of fish. They examine live phytoplankton and zooplankton under compound microscopes and record observations. 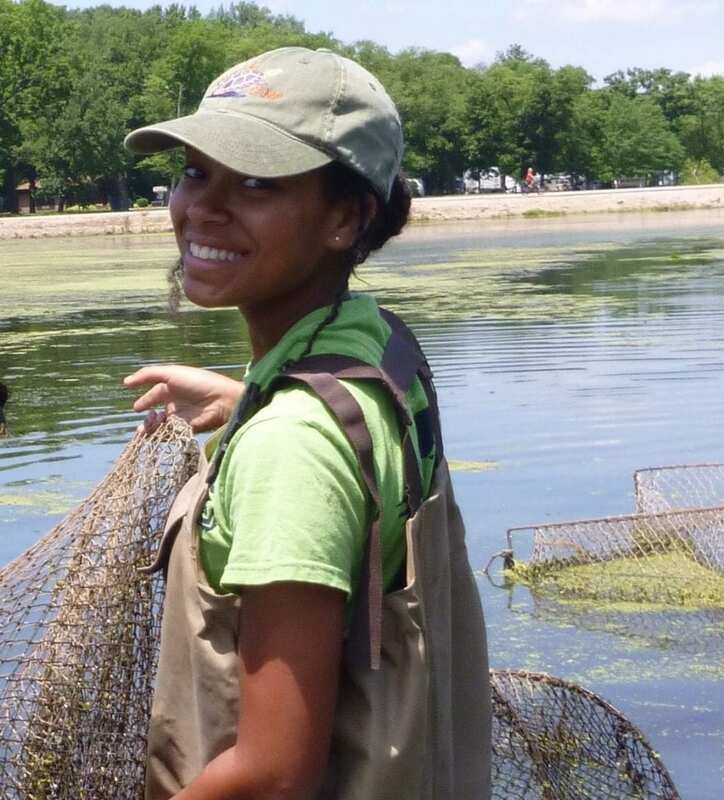 In addition to collecting data for the experimental station, students participate in a limnology overview, including discussion of the geology, chemistry, physics, and biology of aquatic ecosystems. They are provided hour-long classes in herpetology and ornithology, and contribute to data collection for the island during an island hike.